12 Feb 2019 / 19:33 H.
THE formation of the new Economic Action Council will be welcomed by all Malaysians. It’s timely, given the world economic slowdown, and the growing restiveness among Malaysians about our socio-economic wellbeing and future. We congratulate the government for this ambitious plan which appears to be a major review of our socio-economic planning and is most welcome. The public will be encouraged and excited by the aims of the EAC. But hopefully the government will exert its full political will to deliver action fast on the EAC’s aims. Otherwise, public expectations would rise for now but then fall quickly as disappointment will set in and the national feel, mood and happiness will decline. This will be unfortunate and counter-productive to the good efforts by the EAC. Hence how can we ensure good outcomes? To stimulate sustainable growth there have to be new policies and incentives to encourage both domestic and foreign private investment. This will call for more encouragement of the private sector to invest with reduced protection to local industries and a smaller role for government involvement in business. The government-linked companies for example, have to play a lesser role in the economy. Foreign investors have to also be consulted and allowed more liberal access to invest in our markets. However, all these new investments must be subject to more stringent sustainable development environmental policies and guidelines. At least we then can attract better quality investment that will not damage the economy and cost us much more to clean up the environment. Equitable distribution of wealth is another laudable goal. It is no point going all out for economic growth when the income gap or Gini coefficient worsens. 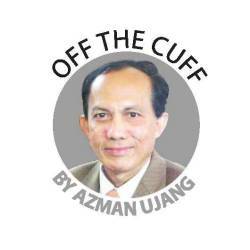 The rakyat will rightly ask – why have economic growth for mainly the elite class to benefit? This question can raise and reflect a lot of social uneasiness and even social unrest. To attain equitable wealth distribution, we can widen the welfare grants and safety net to the poor; and provide more basic needs like housing and health, transport, etc for the poor. To meet these additional public expenditures, we can raise more taxes from the top 20% of our income earners to provide more facilities for the poor. But how much can we do? Given our budget deficits and the high national debt, can our five-year plans and constrained annual budgets finance these higher expenditures? How much more can we do to finance the equitable distribution of wealth and close the wealth gaps? One easy but questionable way to improve wealth distribution is to nationalise some of our assets and then redistribute wealth. But this is a risky philosophy and an unprecedented and dangerous action to take. We will then frighten investments away and Malaysia can become isolated. So even just talking about “equitable distribution of wealth” can be alarming and disconcerting. Hence if we want to pursue this topic we will have to plan carefully. Perhaps, the most acceptable path to better wealth distribution would be through the provision of better education and training facilities for technical and vocational studies. This would enable graduates from schools and universities (where international ratings are generally low) to get better paid jobs and thus narrow the wide-income gaps. To enhance the wellbeing of the people we have to shift our emphasis on economic and gross domestic product (GDP) growth and move towards a happiness index to measure our wellbeing. We need to find out what makes the rakyat happier. Here again it’s the provision of more of their basic needs and stronger efforts necessary to reduce cost of living. Then we go back to wiping out corruption, improving governance, cutting wastage of public funds, and developing moderate lifestyles. Efficiencies and a culture of meritocracy and competition should be encouraged more by the EAC in all its new policies. The EAC gives us new hope for a better future. But the EAC will have to deliver fast. At least please go for the low lying fruits. Help the poorest of the poor first and do it fast. The farmers, the fishermen, the rising urban poor and those in isolated kampungs and estates and new villages, should get the priority attention of the EAC. Then the EAC will win more credibility and support for its noble aspirations. We all wish the EAC under the strong leadership of Prime Minister Tun Mahathir Mohamad every success to deliver EAC action fast, so we can be a happier and more content nation.